As a trial lawyer, there are certain judges, no matter which side of a case you are on, who you are happy to hear have been assigned to your case. Judge Mark Bernstein was always one of them. He is smart, thoughtful, informed, and caring. 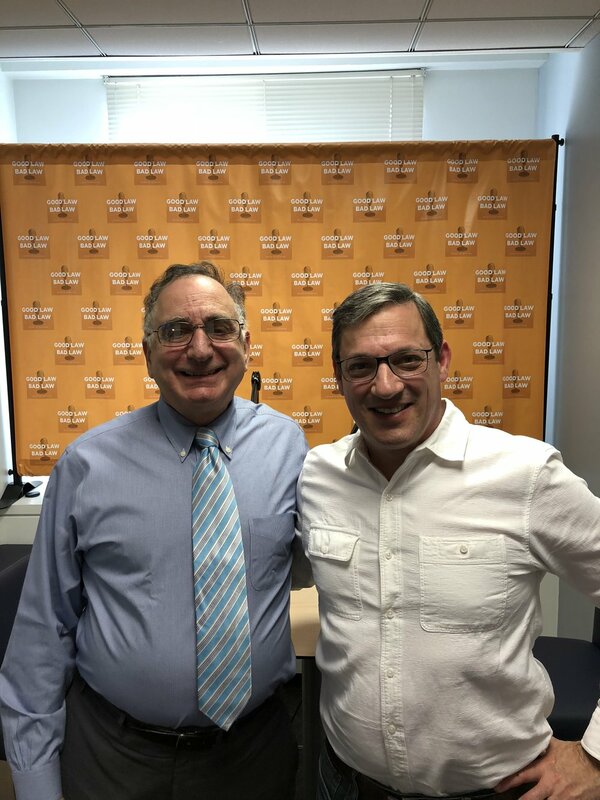 I appeared in front of Judge Bernstein many times while he was a member of our trial bench in Philadelphia and so I was really quite honored when he agreed to be a guest on Good Law Bad Law. The idea for what we might talk about came to me immediately: the importance of the jury trial. I say that, because I know Judge Bernstein not only to be a consummate trial judge, as a practitioner, one who really took his role seriously, but a thoughtful scholar on the importance of the jury and the jury trial in American history and through to the modern era. I find that whenever I am really engrossed in the conversation during the recording of an episode, we end up with something others will find engrossing too. This episode is no exception. Judge Bernstein and I travel through history to talk about what Hamilton said about the importance of the jury trial as a bulwark against tyranny and my favorite story from colonial times, the story of the first real Philadelphia lawyer, Andrew Hamilton (no relation) and his famous defense of Zenger against the King. We talk about the process of jury selection and how jurors are essential to the fair administration of justice in our system. And Judge Bernstein shares some of his experiences as a trial judge to illustrate the crucial role of the jury today.